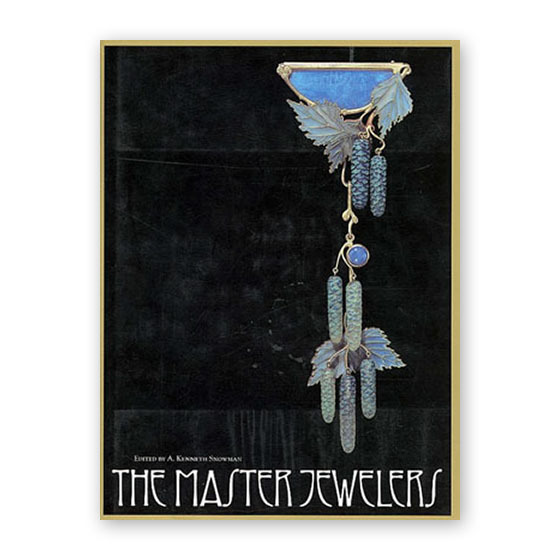 About a hundred years ago, the master jewelers of the Western world began to shed the eighteenth century anonymity under which such artist-craftsmen had generally worked, and to emerge as individual voices, each speaking with a unique and recognizable accent. It was also around the turn of the century that the bland, predictable standards of the earlier era disappeared; as a result, the celebrated designers whose work is featured in this book can be instantly identified by their particular interests and discoveries. Castellani, for example, is known for his nostalgic glances back at Etruscan gold work; Carl Fabergé emphasized originality of design and the quality of craftsmanship, rather than the intrinsic value of the materials used. René Lalique was irresistibly fascinated by the strange forms he adapted from nature. And the searching, critical eye of a Cartier or a Boucheron could lend chic to their beloved abstract patterns. The magnificent illustrations offer faithful representations of extraordinary confections of gold, silver and platinum, gems cut and polished in every conceivable fashion, and enamels, translucent, opaque or as clear as stained-glass windows, all effectively designed and executed to enhance the charm and allure of the people fortunate enough to wear them. In fifteen chapters written by leading experts in the field, the world of fine jewelry, including its social, aesthetic and business aspects from around 1850 to our own day, is brought to vivid life.